– an Instruction Booklet and Recipe Guide. As I was writing the chapter on Tofu for my upcoming cookbook on Silk Road inspired vegetarian cuisine, I decided it would be a good idea to include step by step instructions on how to press tofu. 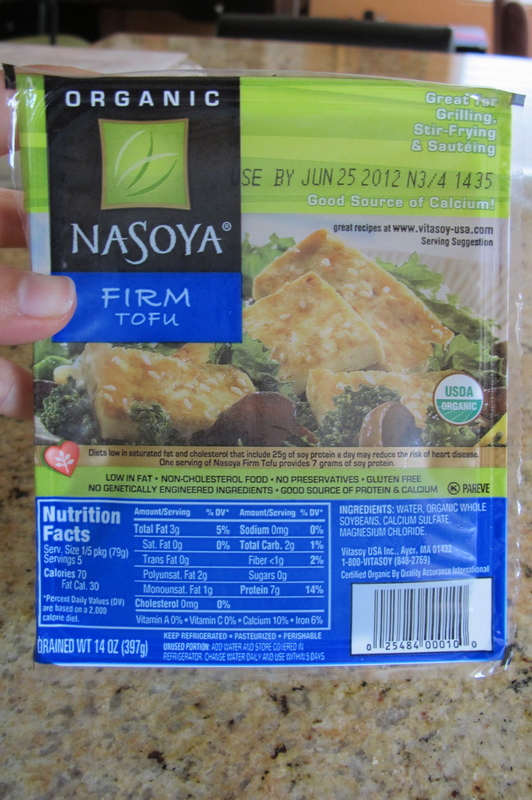 Tofu comes in a variety of textures from silken to extra firm and the firmer the tofu, the higher the fat content. In order for tofu to taste good, it needs to be pressed, drained and then marinated. The water content needs to be removed, so that the tofu can absorb the marinade. As I was researching the steps to pressing tofu, I came by a tool called Tofu XPress, which is designed to press tofu with out the hassle of setting up so many props to drain the water from tofu. Subsequently, I contacted Tofu XPress and asked them if I could try out this tool for my cookbook and that I would write a review on it. It’s easy enough to slide the lid on the tofu press, however the spring sat slanted on the tofu. After 30 minutes of pressing, look how much water got released. * Due to the spring sitting slanted on the tofu, one side got more pressed than the other. After using the TofuXpress, I can say that it does remove water efficiently from tofu to change its texture and allows for significant marination to occur. The longer you press the tofu, the more water it will excrete. The pictures show a pressing of 30 minutes, which I was satisfied with, however I will look into why the spring was not sitting evenly on the tofu next time to make sure I don’t press my tofu lopsided. I am saying goodbye to using a lot of paper towels and the weight of books to drain my tofu and will be turning to Tofu XPress regularly to prepare tofu. There is an optional Light Tension #2 Spring attachment for pressing cheeses, silken tofu, and yogurts, but I did not get a chance to use it. The tool converts into a marinating dish – however I did not use it, because I sliced up my tofu and this option took a lot of space. Since I posted this review, Tofu XPress reached out to me to explain why the tofu got pressed slanted.